You're so precise. 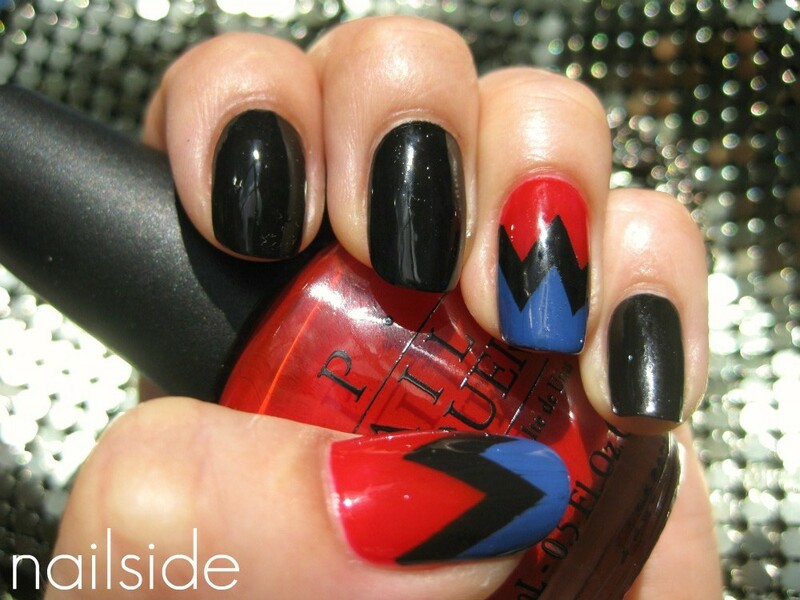 I can't believe how you made those zigzag manis so perfectly. :) Great job! I love it! I tried doin those zigzags and ended up with a irritating ridge where I pulled the tape off. Any tips on that? Happy Belated Birthday to your boyfriend!! I'm glad you had a great weekend. This mani is so cool, you can't go wrong with fun accent nails. I'm like jennafroggy- I always end up with a frayed edge from pulling it back. Is that a technique or formula problem? 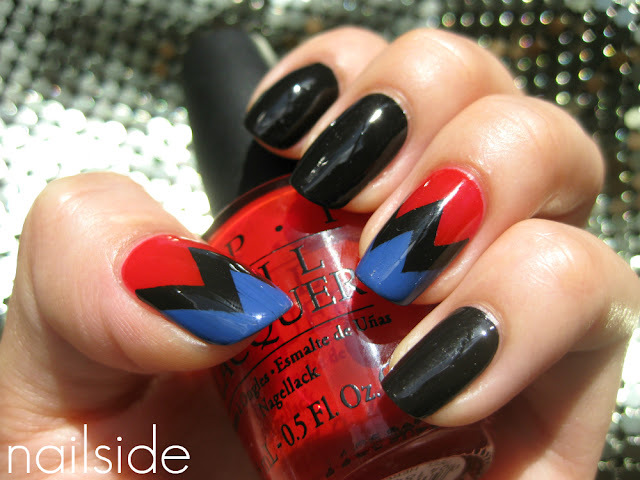 Reminds me of wonder woman nails! I love it! Perfection! - The polish already dried too much, so it has started sticking to the tape. - The formula of the polish is too thick or goopy. Some polishes just work better for taping than others. So always use opaque polishes for layering over the tape and apply them in thin coats for crisp lines. And don't forget to remove the tape as soon as possible, while the polish is still wet. This means that applying the topcolour and removing the tape strips should happen on one nail at a time. 1. Push the edges down with your finger while the polish is still tacky. 2.Use a topcoat! Topcoat will not only smooth the surface but also the frayed edges, making them look crisper. This Edges looks gorgeous, have did you make them? This looks SO cool! I really like your blog and am glad I discovered you :). @Krystal: Thanks so much :) And also for tagging me! !